It is located in Lake Forest, Illinois with a budget of approximately $750 per square foot. 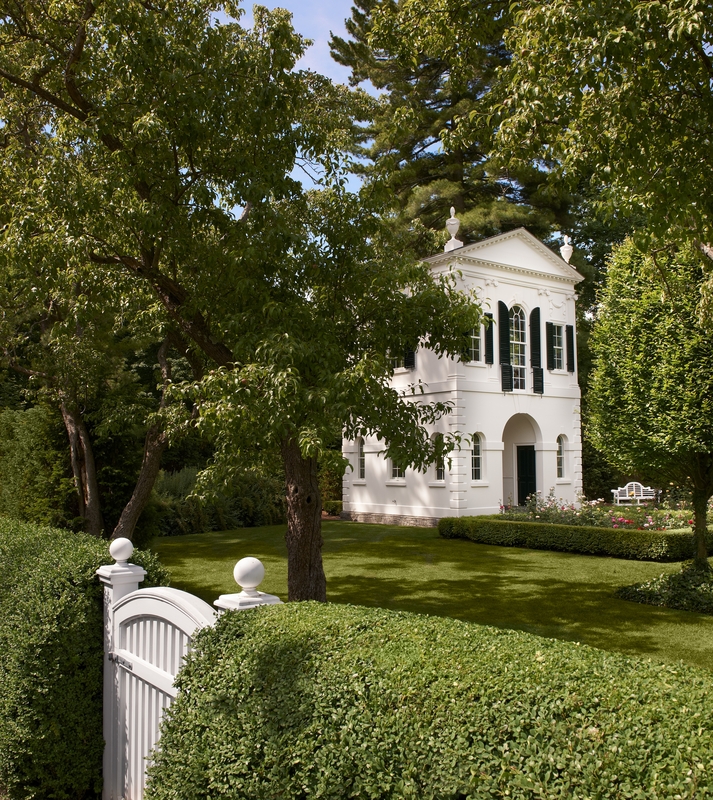 The Summer House is an eye catcher carefully introduced into a landmark estate in Lake Forest, Illinois. Situating the building was especially delicate as the existing home and grounds are exceptional and historically important. The main house is an American Georgian home designed by Howard Van Doren Shaw, the garden plan is attributed to Charles Platt and the Rose Garden is by Rosemary Verey. 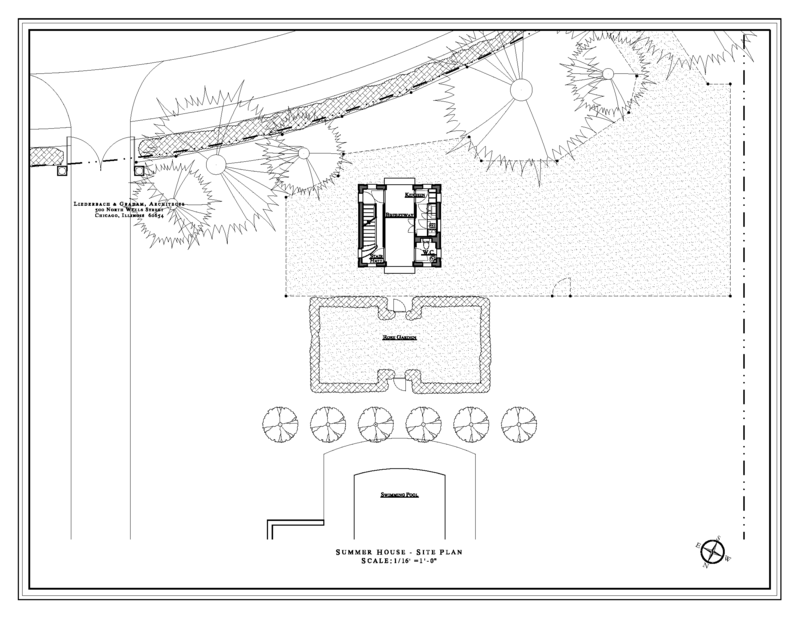 We positioned this 17’ x 17’ building on a small and little used portion of the estate such that it terminates the axis of an existing rose garden & swimming pool. 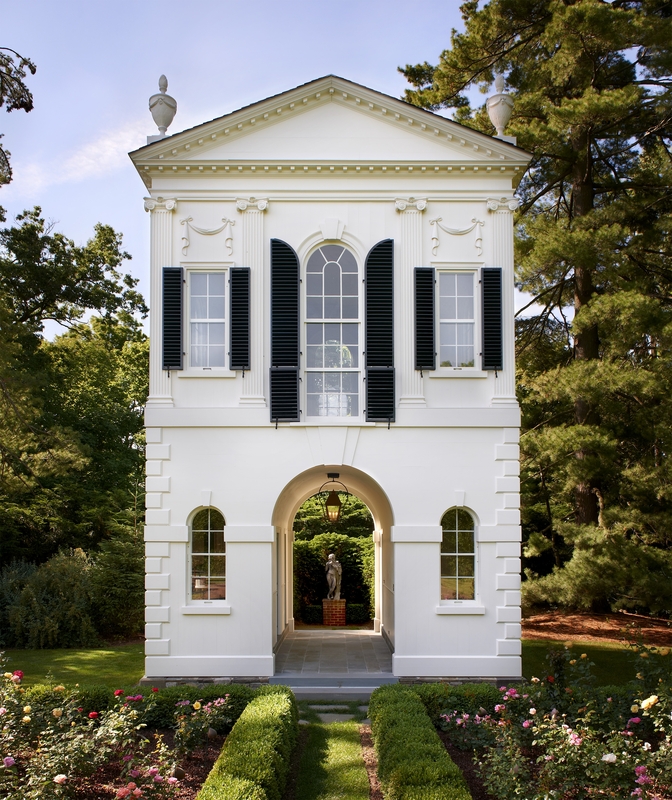 We chose a paradigm that is one of the most elegant in the States, the Derby Tea House by Samuel McIntire. Its proportional system, profiles and construction details were carefully studied. Our building is a modern day edition with a level of craftsmanship and wood carving that one rarely sees. 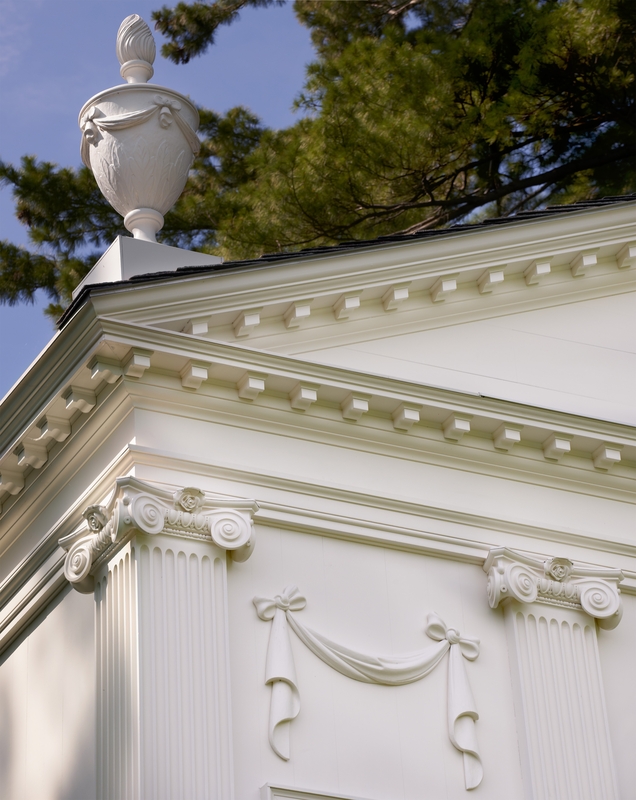 The rose incorporated into the Ionic capital speaks to the Rose Garden it overlooks. The carved rose has a carefully molded cap flashing, which speaks to our intention that this building will endure for many generations. This is one of the ways the building addresses our commitment to sustainability. Others would be that while the exterior is intended to evoke stone it is built entirely of White Oak which was selected for its rot resistance and renew ability. The structure is Geothermal and insulated well beyond code requirements. Practically, it serves as a pool house with kitchen and bath facilities on the ground floor and a painting studio and office for the client on the second. The south façade is intentionally close to the road and peaks over the arborvitae to be enjoyed by the clients, guests and passersby alike.